Ouya has been something of a phenomenon recently. We first heard about Ouya just two weeks ago, and obviously the idea of a $99 Android-powered gaming console was something that got us pretty excited. And, it apparently got a lot of other people excited because the Kickstarter fund generated twice as much as the team was asking for, and all in less than a day. As of this writing, the project had gathered almost $5.2 million in crowd-sourced funding, which is more than 5 times what the team originally wanted. But, that's not enough. 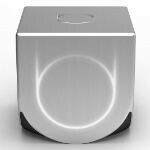 Last Friday, when the funding was at $4.4 million, Ouya founder Julie Uhrman told Develop that “this is a really big undertaking and it’s going to be expensive." So, the team is looking for more funding, not for the hardware side, but more to attract developers and other partners to help make the console a success. Uhrman was incredibly thankful to the entire Kickstarter community. She praised not only the crowd's incredible generosity, but the incredible amount of free marketing the project has gotten because of that generosity. She also made a point to highlight the openness that the team is building into the platform, including "USB ports that allow a hobbyist or a hardware hacker to build peripherals." We still need a lot more info on the console, how it'll work, and the software available, but we're sure we'll keep getting info on this. nintendo, psp, xbox and wii wont be so happy if an android powered console will take over their places!!! So how do you pronounce this mysterious box's name? I saw it and thought "Oh-Ya"
OO-ya. OO as in "food". I still can't understand how they can make this stuff for less than $100. N7 sells for $200 essentially at cost and in millions to make it possible. OUYA's volume is 1M at most. Easy. Nvidia tegra 3 costs 21 $. They just dont ask much profit. $21 is only for the CPU, what about other parts? The game controller will cost as much, and those are only 2 components. Besides you have to count production, distribution, after sale support... I guess they need more support. Bill Gates or Woz will be helpful for sure.